There Kirti is sitting in front of God and saying that she won’t give Krish to Naira and that this decision should be hers only and not others. Kartik brings kachori and feeds Naira as mehendi is applied on her hands and she cannot eat. Kirti comes down and seeing Kartik tells him to come with her as she wants to talk to him and takes him upstairs. Kirti tells Kartik that she loves him and Naira but whatever happens in their life has affected her the most and she is the one who suffers every time. Kirti says that she has always supported them in whatever decisions they have made but this time she cannot support it as it is the question of her son and that she cannot give her son to anyone and that she will die if she has to. Downstairs, Naira wonders where Kartik has gone and goes upstairs to search for him. In the room, Kirti tells Kartik that Naksh is first a son than a brother and lastly a husband. From the time Naira was unwell Naksh thinks about her the whole time and that it is affecting her and her mental peace is gone. Kirti says that she can do anything for Naira but not give Krish to her and tells Kartik what Naksh was telling Devyani about giving Krish to Naira if she wants him. Kirti asks Kartik for an answer as to why this is happening to her and what should she do now and tells that she cannot live without her son. She tells Kartik that Naira is always Naksh’s first priority but why should she or her son suffer because of it? Just then Naira comes in the room and asks Kirti why is she crying and if someone said something to her. Kirti says as she is going leaving them she has become emotional. Naira says that she is not leaving her she will come so frequently to meet her and Krish that she only will tell her to go away. Naira tells Kartik to smile and be happy and takes him with her. 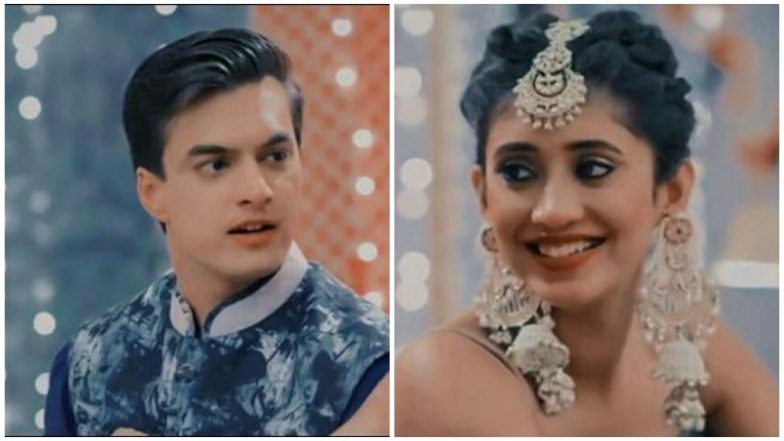 Naira tells everyone that she wants to tell everyone something about their love, and says that she loves Kartik so much and that this is the person who she was searching as her life partner and smiles. In the precap, Naira and Kartik dance and enjoy the function.